As a caregiver, your primary concern may be your ill or elderly family member. However, it’s incredibly important to maintain your strength and health for the long road ahead. Here are some ways to help alleviate anxieties, better manage your schedule, and keep moving forward. Keep detailed notes. Whether it’s lists of medications, preparing for doctor visits, or simply logging daily behavior and activity journals, keeping records help you stay on top of things. Journals are especially important for patients suffering a mental disorder to properly monitor and track changes in behavior, without having to rely solely on memory. This may require more time upfront to set up systems that will work for you, but overall will help you stay organized and prepared for each new challenge. There are many dangers of sleep deprivation for caregivers, including mental and physical health disorders, decreased energy levels and increased vulnerability to illness. Stress and anxiety can further complicate your ability to achieve beneficial rest, creating a vicious cycle. As difficult as it may seem, seek to make sleep a priority, potentially consulting your doctor or a specialist to find the solution that will truly work for your situation. When the majority of your time is dedicated to caregiving – frequently on top of work, family and everyday tasks – proper nutrition and fitness can take a back seat. These things are also the key to maintaining your strength and stamina to face each day. Work to maintain a more nutritious and balanced diet, in addition to getting exercise on a regular basis. Both will help contribute to more energized days and restful sleep at night. Again, while trying to balance the many responsibilities in your day, strive for better organization of your schedule. Use online calendar tools or whatever system works best in your household. Break up large chores into smaller tasks over time, such as doing a load of laundry here and there, rather than all at once. Plan an hour of "daily maintenance" to handle whatever the day's chores are. Take care of pharmacy needs while running other errands, and make sure to plan well ahead for big events where additional caregiving support will be needed. Approximately 1.3 million Ohioans are considered caregivers. Chances are, there are specially created groups in your community or health organization. Talk to your home healthcare representative to connect you with groups in your area, and you can also discover more support options through your area agency on aging. Respite care offers relief for the caregiver by providing full-time patient care, from a trusted partner, for a specific time period (ex. 5 days) in the home or off-site. It can also come in the form of personal assistance with daily or weekly tasks, including patient-specific support, general household management or transportation. Only you know what works best for you to relax, unwind and renew. It may be taking a morning walk, or making time for a favorite hobby or spa trip. Your relief may come in more structured support, such as a break from the personal care of your patient or others family members in your care. Perhaps it’s simply finding 15 minutes of quiet time each day to rest your mind and prepare for the next challenge. Stress is inevitable in your caregiving, but by taking clear steps toward the prevention of caregiver burnout, you can work toward a strong and successful tomorrow. 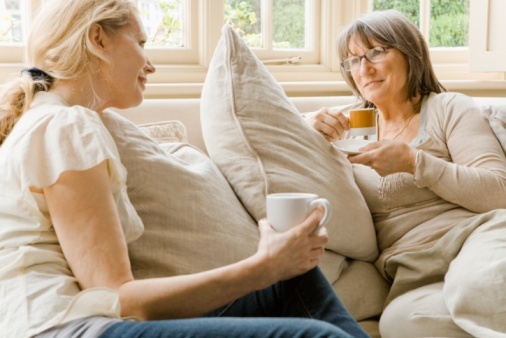 Looking for respite care? Learn more about Home Assist™, Visiting Nurse Association of Ohio's companionship and personal care service, or call us today at 1-877-698-6264.